I am so freakin' excited to share a brand new product that will be available November 1st! Stampin' Up! has launched a brand new line of alcohol markers that cover many of the colors in their already wonderful line of papers, ribbons and inks. 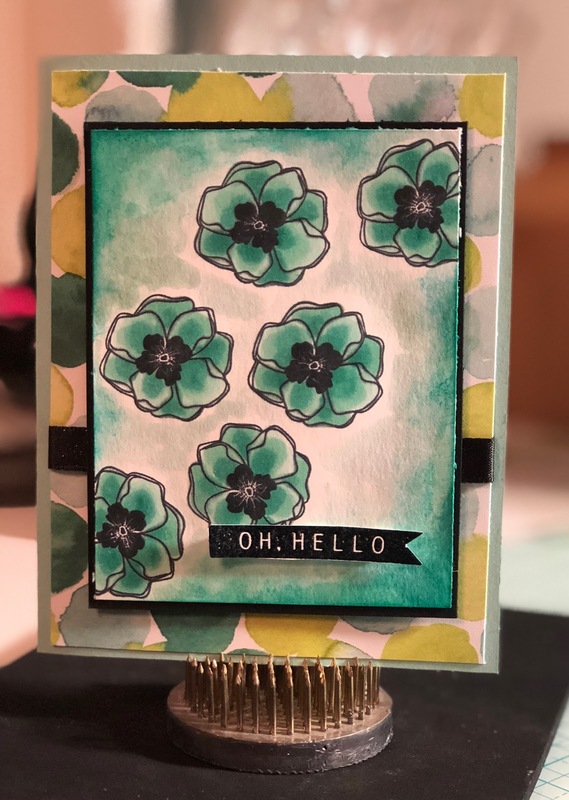 Stampin' Blends are so special. I was able to get in on an advance purchase of them and I give them a big ol' thumbs up! Like other alcohol markers, they blend so beautifully and each of the colors represented will come in a light and dark version. I played around a little bit the other day and made 2 different cards to show. I started by stamping my image using the Memento Tuxedo Black stamp pad. This is important, because the ink in this pad will not bleed when the alcohol based marker is used. I then applied the color over the entire image with the lighter pen and then added the darker shade where I wanted shadows. To finish it off, I once again blended in with the lighter shade and it all came together nice and smooth. I did these quickly before work one morning and then came home that evening and made a card! I plan on doing some video tutorials on these fun pens so you will want to get your very own! Be on the look out for November 1st, when these beauties become available!